It is Friday again. 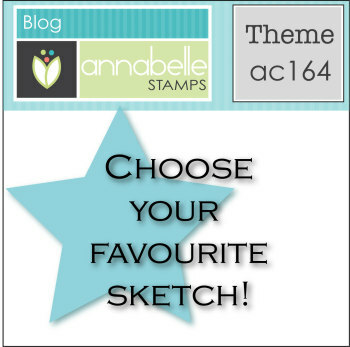 This week at AnnaBelle Stamps we have a challenge for you which is to choose your favourite AnnaBelle Stamps sketch. To view all of the AnnaBelle sketches you need to head here. 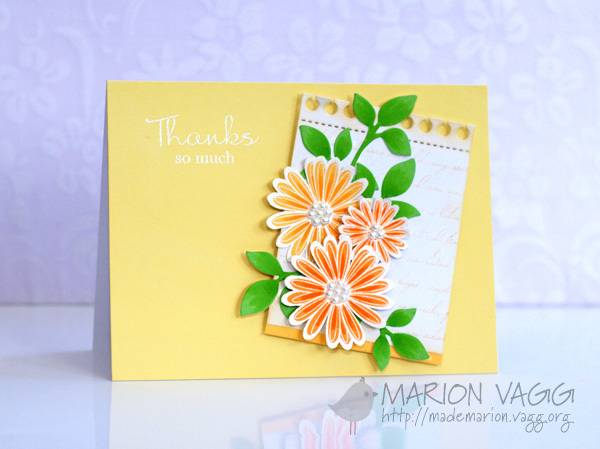 I loved the AnnaBelle sketch AC155 the first time around and I really loved the card I made…it is my favourite card to date. So I decided to choose the same sketch, but this time I flipped it. 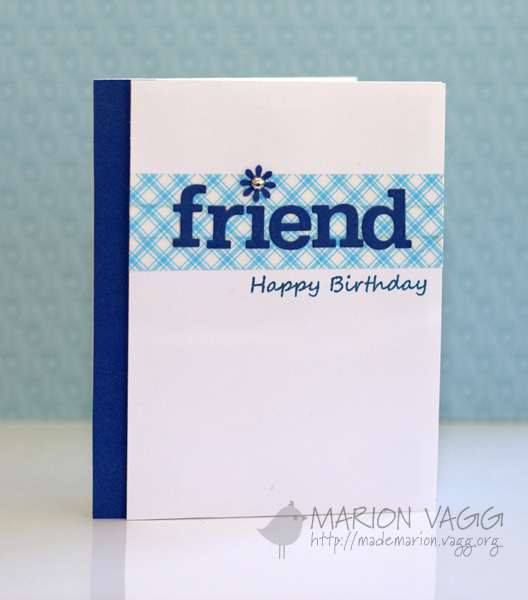 I wanted to case my first card – so used the same stamp set. I just went with another colour palette which is a bit different for me and changed up some of the elements. Stamps: AnnaBelle Stamps Daisy Delight stamp set, AnnaBelle Stamps BBD#6 stamp set, AnnaBelle Stamps Standing Tall stamp set (sentiment). Be sure to check out the rest of the Belles’ projects – their links are on my side bar. The lovely Darnell has organised a surprise birthday extravaganza for Ardyth, who is celebrating her birthday today! I have the pleasure of working with Ardyth on the Muse Card Club blog. I love Ardyth’s CAS cardmaking style and she always amazes me with her wonderful, and often clever, creations. Happy birthday Ardyth. You do so much for the on-line card world – so now it our turn to do something special for you. Please head on over to Darnell’s blog and check out all the wonderful cards that have been made for Ardyth. 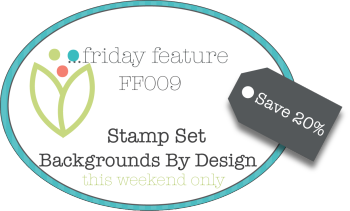 For this week’s Friday Feature at AnnaBelle Stamps, the Belles are showcasing the Backgrounds By Design Stamp sets. Go here to check them all out. Today I have used one of my favourites – BBD set #5. Be sure to check out the rest of the Belles’ projects to see how they have used this set – their links are on my side bar. 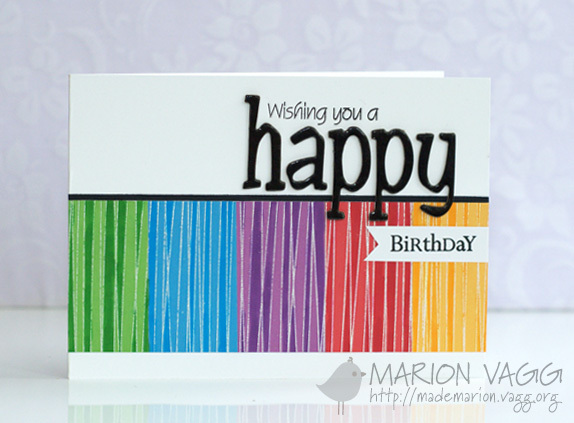 I am excited to be back with another card for the Muse Card Club. 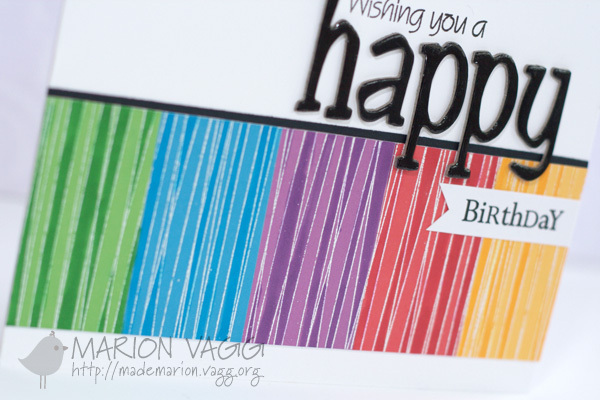 I have made a very cheerful and colourful card this week. 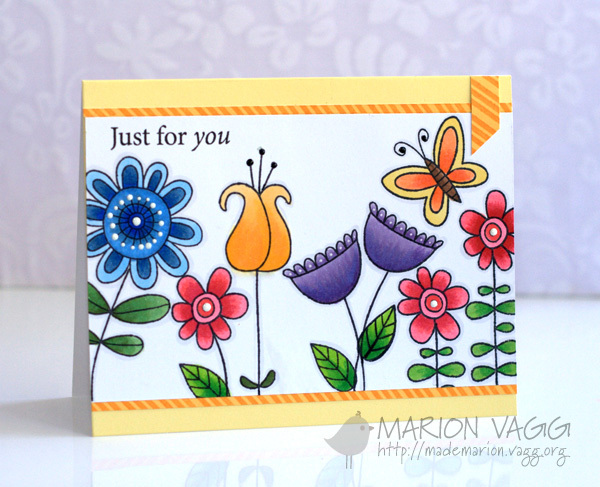 I had fun colouring in a great stamp set from Jane’s Doodles called Doodle Flowers. I can’t wait to see how my card inspires you this week. Hello. It is Friday again. 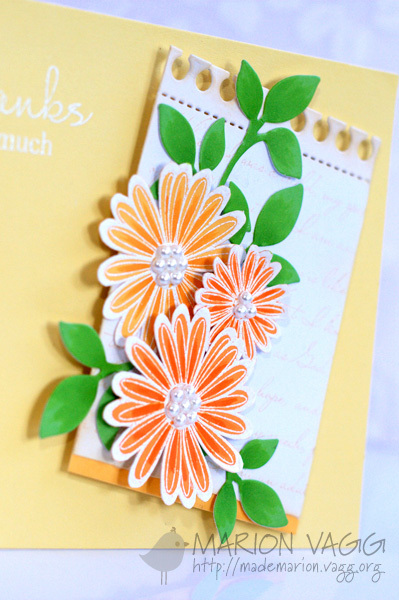 This week at AnnaBelle Stamps we have a fun sketch challenge for you. As you can see, I am still in Copic colouring mode – but this time I added in some gel pen to add more interest to the flowers. 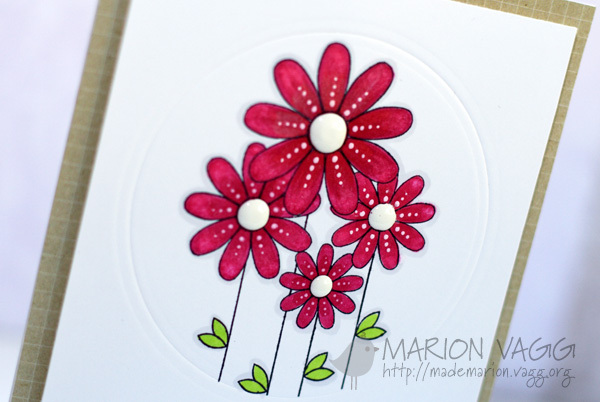 For the circle element I have embossed a circle using a circle nestie and an embossing mat. The flower centres are blobs of white enamel accents – love this stuff! 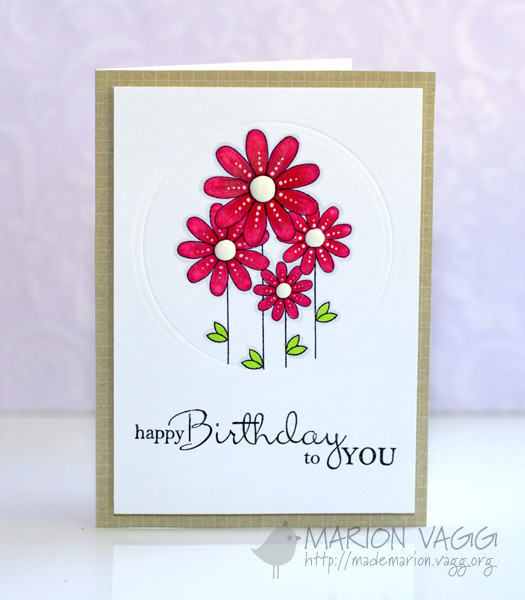 I am entering this card into the Simon Says Stamps ‘Flower Power’ Challenge and also into the CASology challenge where the cue card is Bloom.